Do you pride yourself on being a multitasker? If so, how is it working for you? Do you feel you are more productive when you juggle many tasks at once or when you focus one single task at a time? 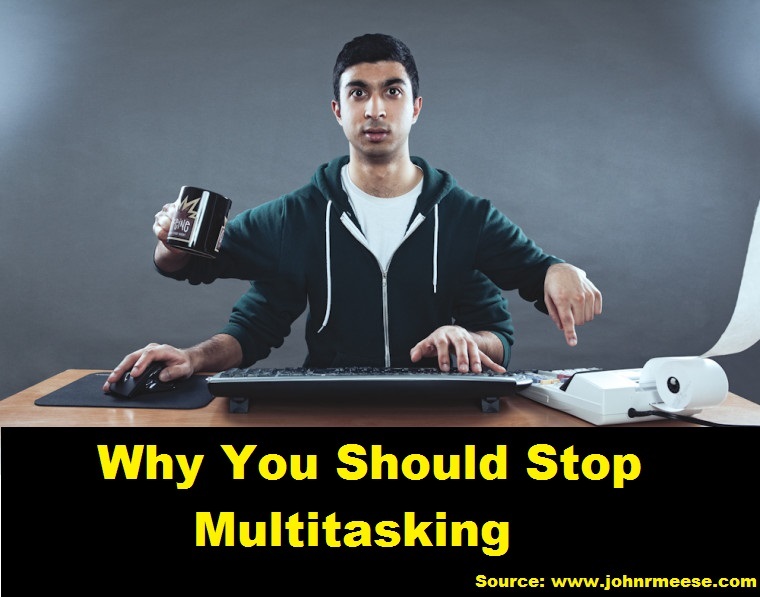 According to www.johnrmeese.com, multitasking has been heralded as the cornerstone of a productive life but new information says it can be counterproductive. Click on the link below to learn why switching between tasks is less effective than focusing on one task at a time.